HUBER+SUHNER N connectors are available with 50 Ω and 75 Ω impedance. The frequency range extends to 18 GHz, depending on the connector and cable type. The screw-type coupling mechanism provides a sturdy and reliable connection. HUBER+SUHNER N connectors are available for flexible cables, for semi-rigid cables and for corrugated copper tube cables. Cable entries: clamp, crimp and solder types available, as well as HUBER+SUHNER QUICK-FIT for corrugated copper tube cables. 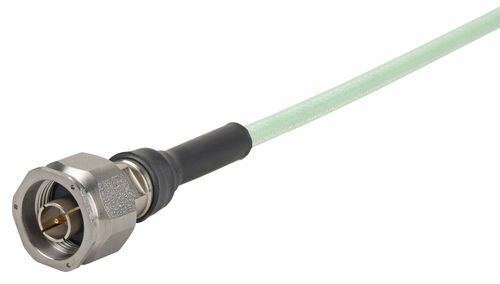 data connector / fiber optic / DIN / straight CLIK!